We provide a wide range of VHB Tapes /Acrylic Foam Tapes which is formulated with acrylic adhesive. These are known for their high adhesion capacity and are an ideal replacement for mechanical fasteners and welding. Keeping in mind the varied requirements of our clients, we also customize our product on various parameters. 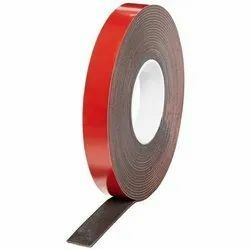 Owing to our proficiency in this domain, we are providing our clients an optimum range of VHB Tape. 3M™ VHB™ Tape 4930 is a firm, double-sided, pressure-sensitive, closed-cell acrylic foam tape.